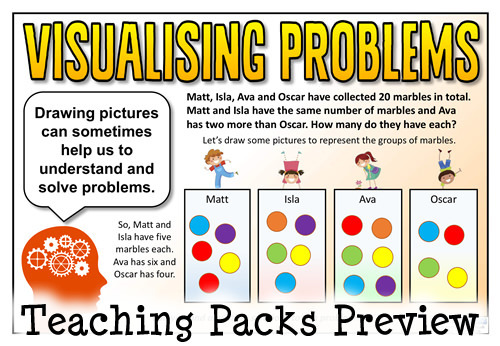 Improve your children’s reasoning and problem solving skills with our bumper resource packs. Includes a range of practical classroom activities, teaching resources and classroom display materials to save you time and support your children’s learning! 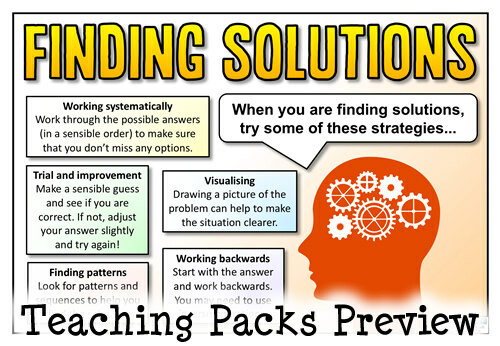 One Thirteen Page Guide to Reasoning – A handy guide to reasoning and problem-solving strategies to share with your class. Perfect for whole class teaching and classroom display boards. 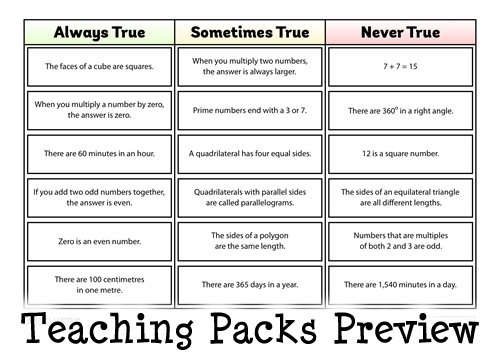 One ‘Always, Sometimes or Never True?’ Activity Resource – Can your children sort these mathematical statements into the correct columns on the grid by deciding if they are always, sometimes or never true? Can they explain the reasons for their decisions and give examples to support these? One Hundred ‘Incorrect Answers’ Cards – A big bundle of cards that include a variety of Maths questions and problems. Can your children identify the incorrect answers and explain why they are wrong? 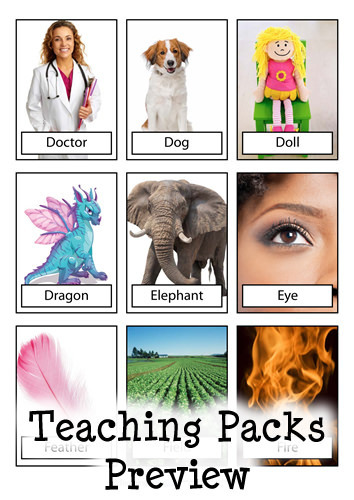 Includes question prompts for your children and the correct answers for checking! Sixteen ‘Spot the Mistakes’ Pages – There are mistakes on these Venn and Carroll diagrams. 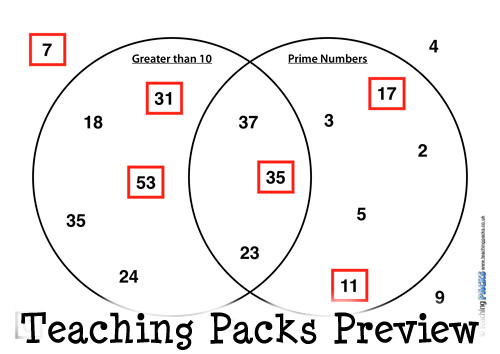 Can your children find them all and explain why some of the numbers are in the wrong place? 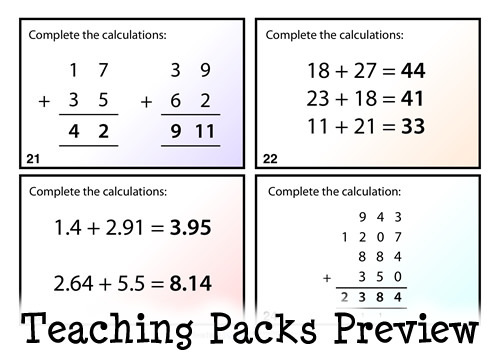 Available with whole numbers, fractions, decimals and percentages, with answers for teachers and self-checking. 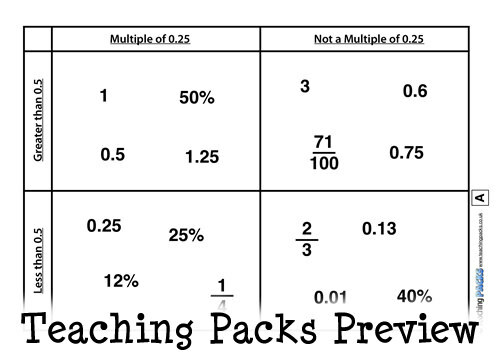 Fourteen Odd Number Out Cards – A pack of fourteen cards, each of which includes three different numbers. Can your children give reasons why each number on the card might be the odd one out? How is each number different from the others? 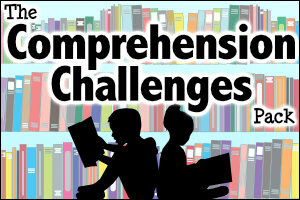 Thirty-Two ‘Can you explain…?’ Challenges – Can your children give explanations for the mathematical questions posed by the people in these printable challenges? Ninety-Nine Odd One Out Cards – A huge collection of cards that can be used for an ‘Odd One Out’ activity. Ask your children to choose three cards at random and decide which one is the odd one out (and give the reasons for their decision). Also includes a blank set so that your children can decide what will make a good 100th card for this set! 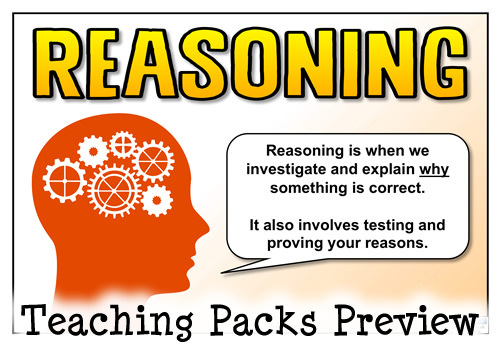 Four Pages of Reasoning Questions – A collection of question prompts that can be added to your reasoning display boards. Can your children use them to question each other about their investigations? Six RUCSAC Posters – A collection of posters that outline the RUCSAC problem solving process. 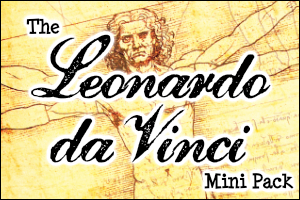 Display this handy reminder somewhere prominent in your classroom! 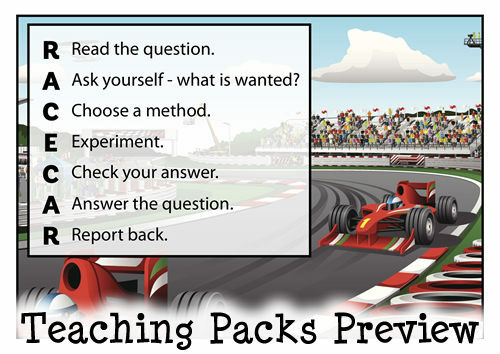 Eight RACE CAR Posters – Printable classroom posters that outline the RACE CAR problem solving strategy. 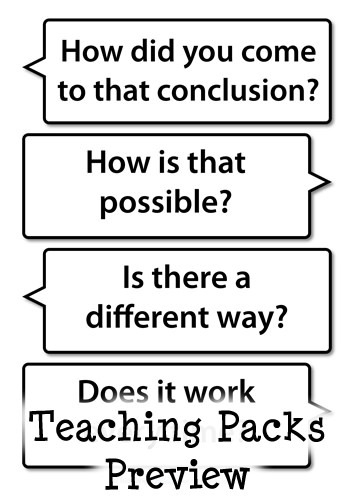 Two Display Banners – Create a display board about reasoning using our printable banners! 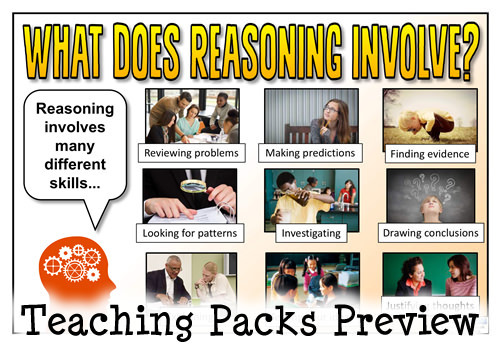 Click on the thumbnails below to view samples of resources from The Reasoning Pack. 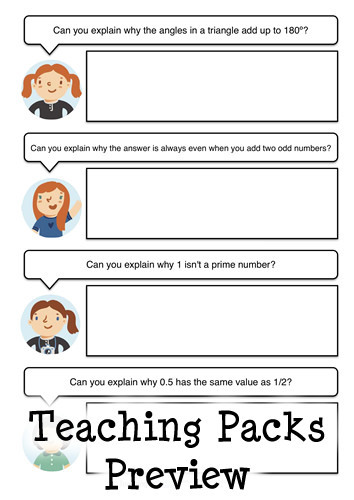 Printed off some of these activities to do with a home education maths group with my daughters friends... they must have been good because my daughter did them the evening before the group started! The other kids enjoyed them the next day too. The Always/Sometimes/Never activity was the most popular and provided a good reminder or introduction to concepts we don't look at often. Thank you! 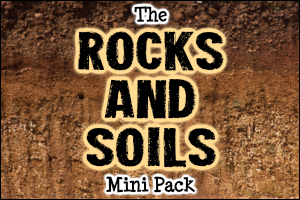 Loved some of the activities in this pack. Made great use of the (1) 'What's wrong?' set of questions as they were across the range of ability for my third class and some were challenging enough for my stronger kids (2) Also loved the 'Always/Sometimes/Never' activity as it leant itself to small group work and much discussion when we came to the answers. It started a debate about whether "zero" was an even number or not - talk about switched on to lateral thinking in maths! 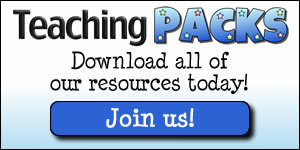 Really fantastic, high quality resources which include ideas for lessons on every subject. Finally, I get my weekend back! Thank you! Really useful ideas and resources. It is always great to find quality resources that get you thinking in a different way. Absolutely terrific. Thanks.